This article appears in print in the May 2018 issue. Click here to subscribe. 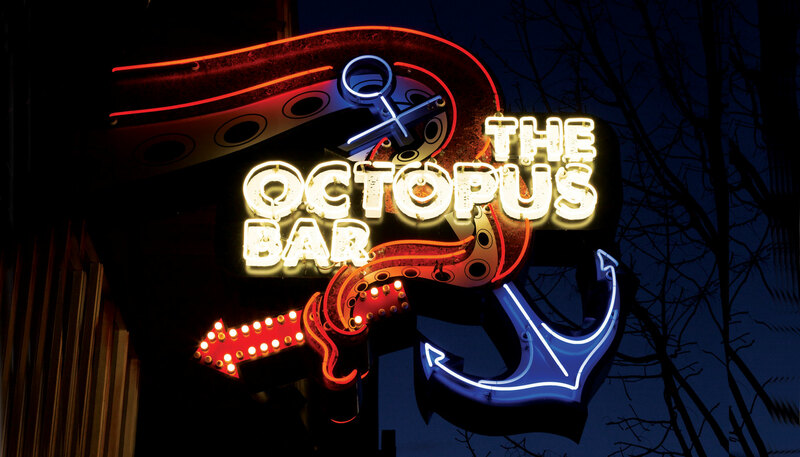 From the marquees of Seattle’s museums to the city’s favorite restaurants, you’ll find the trademark glow of custom sign builder Western Neon wherever you look. Cast your net wide: The company’s well-known clients include Li’l Woody’s, Filson, Rainier Beer (that famous “R”), Cupcake Royale, Caffe Vita, Molly Moon’s Homemade Ice Cream and Easy Street Records (not to mention instantly recognizable brands such as Seattle City Light and Elephant Car Wash). From Ballard to Beacon Hill, there’s no denying the 33-year-old company’s influence among the signs dotting Seattle streets. Western Neon’s creative director, visual artist Dylan Neuwirth, has been working with the medium for decades in a merging of the applied and fine arts (he’s the creator of one of Seattle’s most popular selfie backdrops, the 2014 Occidental Park light installation “Just Be Your Selfie”). Late last year, with company president André Lucero and neon artist Kelsey Fernkopf, Neuwirth launched the Western Neon School of Art, a nonprofit trade and art school that will focus, he says, “on a new wave of neon artists exploring light, space and interactive technologies.” Students learn how to work with noble gases, electrify components, and bend and fuse glass tubing. Held at the Western Neon studio in Sodo, winter quarter classes filled up within 48 hours; the forthcoming spring session already has a waiting list. Why neon, why now? Perhaps it’s the medium’s nostalgic flair and nod to enduring brands, a natural partner for our Instagram-obsessed culture (just step into the company’s lobby, a veritable church of neon, and try not post your pics). Neuwirth, who has exhibited his creations around the world and is on a first-name basis with Dale Chihuly, his former employer, takes a more mystical view. “What is light? How do you work with it? And what can you do with it?” If his students are successful, the rest of us might just see.